You’ll see them at open for inspections and auctions. In their orange vests and badges, clutching Ipads and clipboards, they are checking out houses for clients. ?Mal James of James Buyer Advocates (he’s the one in the checked hat) and his team specialise in finding properties in the $1million plus range for clients. Buyers’ advocates do not sell real estate. They act solely in the interests of the buyer. The real estate agent, in contrast, acts for the seller. While the role of the buyer advocate is not new, their number has grown over the past two decades as the real estate market has hotted up, and people have become more time poor and can’t spend every Saturday at Open for Inspections and want to be better educated about buying properties. One estimate puts the number of advocates at between 350 and 400 Australia-wide. “Real estate agents, generally speaking, have accepted the leading buyers’ advocates,” says James. James, has expanded the buyer advocate process to include his unique home ratings system using a scorecard of 1000 points. It is a (innovation patent pending) system that he believes allows his clients to be fully informed about every aspect of the property not just what is advertised. All properties are rated on the same set of criteria that includes location, natural light, floor plan etc. A weighted number is then given to the property to ensure consistency across all properties. James “Bidderman” (registered trade mark) tells real estate watchers the average number of bidders per auction. Last year James Buyer Advocates and its team of 15 property experts, including legal, building and architectural advisors, visited between 5000 and 6000 properties, rated 2000 homes, reported on 1200 auctions but only bought 100 homes for clients which is testament to his strong committed to buying the right property for the client. James also publishes Market News, a weekly property report which he says is taken up by 5000 readers every week. In addition, his ratings website receives 300,000 individual visits a year. 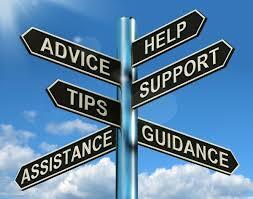 Clients get advice on price; growth to market; bidder strength and a how to tell a good home from a bad home. Buyers’ advocates usually offer two services: the first is a full search service where the advocate actively scours the market for properties that match their clients’ criteria, evaluates them and then bids for them at auction or negotiates a private or an off-market sale. Alternatively the buyers’ advocate negotiates and bids at auction, after the buyer has done all the legwork in finding a property. Charges vary but can be in the range of 1 per cent plus GST (of the property bought) to 2 per cent for a full search and negotiation. John Bongiorno – a giant of the Melbourne real estate market – has earned a reputation as one of the most dynamic, energetic and successful real estate agents and auctioneers in Melbourne. Bongiorno is the sales director at Marshall White, which last year sold a massive $3.6 billion worth of real estate across Melbourne, primarily in Boroondara, Stonnington and Port Phillip. “Buyers’ advocates have really come on the scene in the last decade,” says Bongiorno. “They play a really good role in assisting buyers by doing the homework that buyers may not be able to do themselves. David Morrell, one half of Morrell Koren, Melbourne’s best-known buyers’ advocates, claims that at one time he was “ the most hated man in real estate, especially when he was leading the push to ban dummy bidding. A good buyer’s advocate needs experience, knowledge of the industry and has to exercise correct fiduciary care, says Morrell. “We talk people out of buying houses more often than buying them,” Morrell says. Enzo Raimondo, Head of the Real Estate Institute of Victoria, which represents real estate agents, believes buyers’ advocates have a place. “Looking for the right property can be time-consuming, even tedious. Some buyers report looking at dozens, even hundreds of properties,” says Raimondo. “Not everyone has the ability – or the desire – to spend every Saturday at open homes. If discretion and time and an independent view are key, then the buyers’ advocate could be your friend in the search for that next property at the top level.